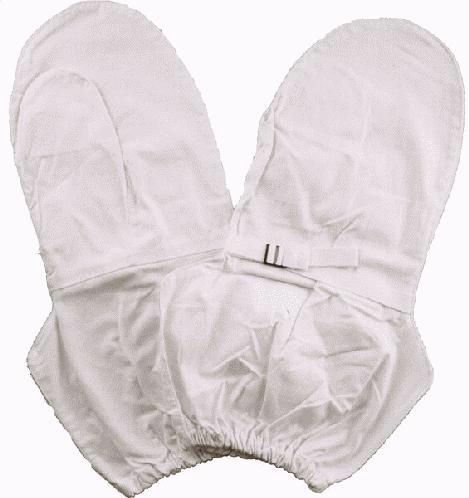 The mitten inserts are intended to be worn under the trigger finger mitten shells. 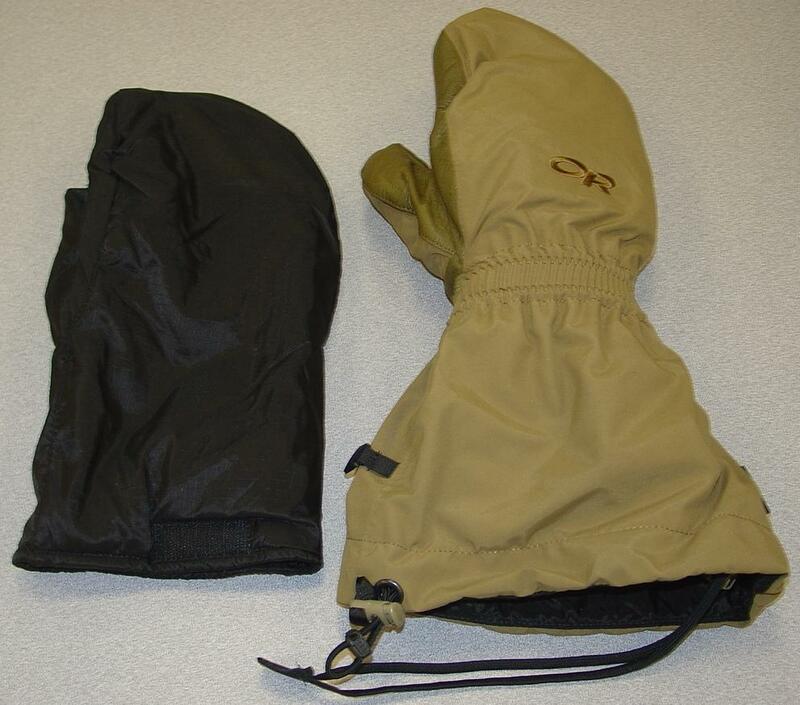 The mitten set is intended for use with other component of arctic clothig under cold dry conditions. The trigger finger mitten shells are to be worn with or without the wool/nylon mitten inserts and in areas too cold for leather gloves and not sufficiently cold for arctic mittens. 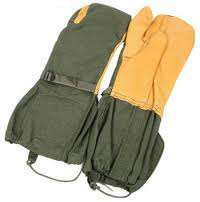 Military specification MIL-M-809 covers an ambidextrous, knitted, trigger finger, mitten insert. Military specification MIL-M-810 covers one type of mitten shells with trigger finger. 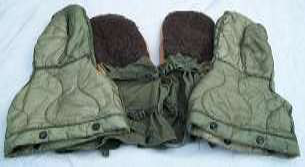 Military specification MIL-M-834 covers one type of arctic mitten set consisting of outer shells, liners, and a harness.